Here's how you can get up and running, building your own single landing page for free, served on github pages. The demo for this site can be found here. Coder Newbies. If you're already well versed, feel free to just go ahead and clone the repo! People not yet ready to learn git. Although, if you really want to learn to code, I'd recommend that you do learn git. Here's a great resource on github to get started. This tutorial is not an ultimate and all encompassing guide to creating a new web page. You'll have to be ready to hack around and experiment. Trial and error are how many new coders get their start. The best way to learn coding is to set an objective, for example build a web page. Start small and keep challenging yourself with every new project. Your project is unique, and though may receive help along the way, your journey is ultimately self guided. This is often a necessary truth in being a successful coder. Almost anything can be achieved with patience, persistence, trial & error, some coffee, and Google. Knowledge is within our reach, and your biggest obstacle may be yourself. Continuously share what you have learned with others, and help grow the community of hackers and coders. 1. 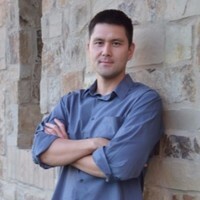 If you don't already have a github account, go to github.com and create an account. Once created, click the "Start a project"
2. Next, enter a repository name (repository is a fancy name for folder). 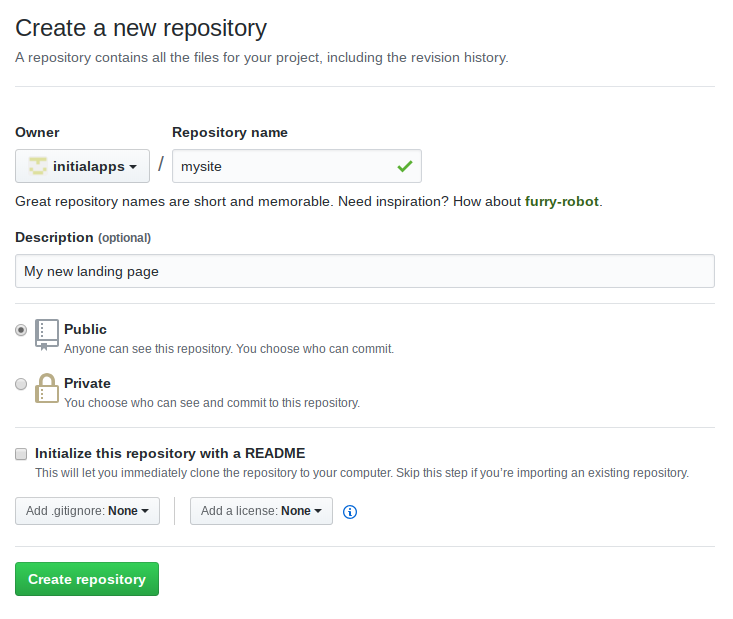 Click "Create repository" when done. 3. Next, scroll down to the bottom and select the option "Import code." 4. 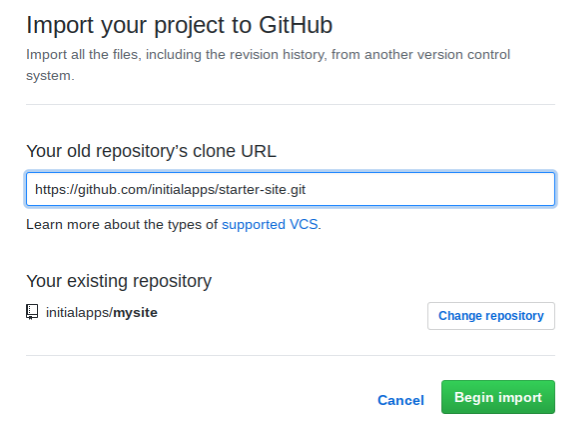 Enter "https://github.com/initialapps/starter-site.git" to make your copy of the demo repository, and click "Begin import." 5. Once completed, click the link to your new repo. This is where the code for your site is now stored. Next, click the settings button (right most button in the menu). 6. Scroll down to the "Github Pages" section, select "Master Branch" and click save. 7. After saving congrats! You're up and running. Scroll down to the "Github Pages" section again, and there will be a link to where your site is now published. You can also enter a custom domain name. You'll have to work with your domain provider to point your custom domain's CNAME to the listed Github link in order to finish the connection. That's it for setup. Ready to start editing and making changes to the site? The code can be found under the code tab in github. Now its time for you to make it yours. Try to find the site's text fields in the index.html file and make edits to them. You can edit the files in github and then click "Commit changes" to save the updates, and refresh the live site to view your changes. If you are interested in learning more about where to go from here, please reach out to me on Twitter or LinkedIn.